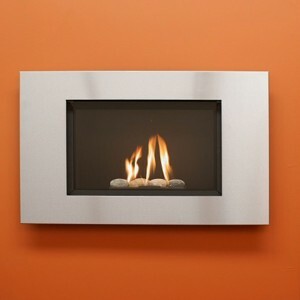 The TORINO 70F Freestanding Power Flue Gas Fire with Glass Casing. 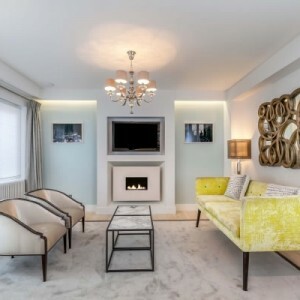 This modern, high efficiency, gas appliance is perfect for homes without a chimney, and represents the cheapest installation option for this type of property. The fire operates with a power flue system and small pipes (54mm or 80mm) which can be routed in any direction, even under the floor, to a maximum length of 40m. This fire is built to the latest CE standard for energy efficiency and operated by a wireless thermostatic remote control. 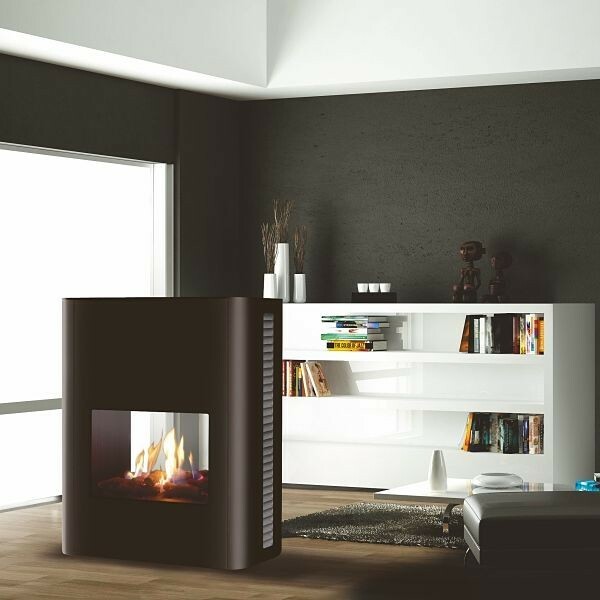 The fire is designed to be a freestanding unit which just requires the flue pipes and a gas supply, the casing is high quality glass in either black or white. This version of TORINO 70F Power Flue Gas Fire is ideal for apartments where installing a full flue system would not be possible. This modern gas appliance has very small small pipes which are routed to the outside wall. The outlet wall terminal is very small (see images). 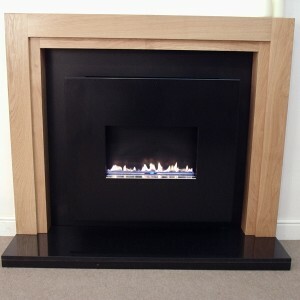 By installing a power flue gas fire you can benefit from all the looks of a wood burner with the functionality and low running costs of a gas fire. 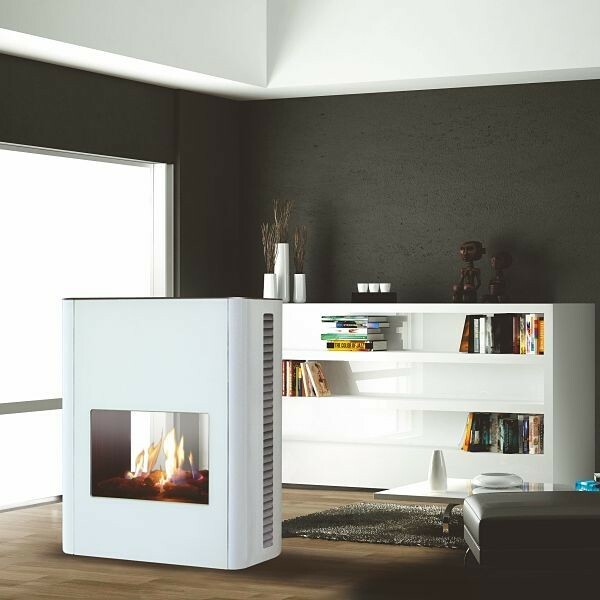 The fire is operated by a programmable remote control which can be set to control the room temperature and also switch the unit on and off at set times during the day.